Today’s book comes from the Academic/Professional side of Kregel Publishers. This means we know two things: it’s going to be nerdy, and it’s going to be good. I have a high regard for the choices of this publisher (at least right now) and am generally pleased with the materials they produce. This includes the simple portion of the physical concept. This book is no exception as a hardcover, well-bound and sturdy. Discovering the Septuagint: A Guided Reader is more than just a pretty face. Inside, you will find work overseen by Karen Jobes (PhD, Westminster Theological and Professor at Wheaton) digging into the Septuagint. Considering that the Septuagint is likely the Old Testament more used by the first few centuries of Christianity, one can understand the importance. Second, many of us pastoral Bible nerds have hung onto our Greek skills better than our Hebrew. While we should correct that error, we can also look harder into the Old Testament with the Greek translation used by such people as Luke, Priscilla, Peter, and Barnabas. They knew a thing or two, after all. The Septuagint, though, predates the Greek New Testament by a few hundred years. That’s enough time for split infinitives to boldly go from wrong to probably okay in English—Greek had some shifts as well in its time. Learning Koine is a leg up into the Septuagint, but understanding its grammar and vocabulary needs a hand. That is where Jobes’ work comes into play. 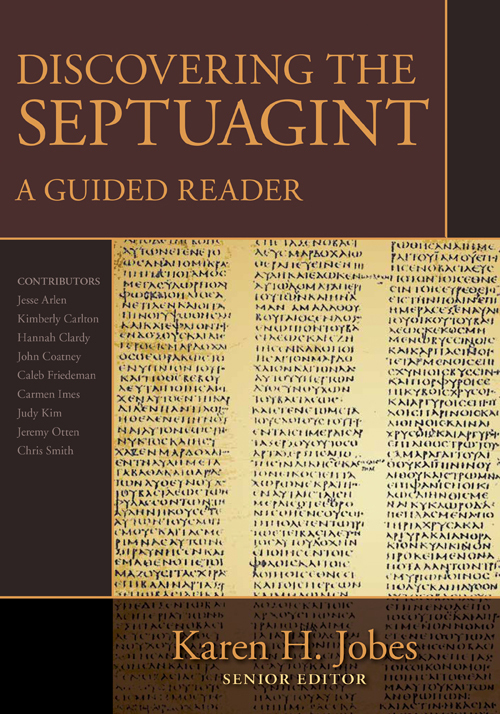 Discovering the Septuagint: A Guided Reader takes us through a selection of ten passages in the Old Testament to get a feel for the Greek of the Septuagint. Also chosen were passages, such as Esther, which highlight the differences between the Septuagint and the primary Hebrew text of the Old Testament. This is a helpful book for the growing scholar. Or for the Bible student who has one too many things on their plat. The vocabulary help alone is worth the book’s price. Then you have the helps for dealing with the syntax issues. In short, Jobes and her team have provided the student of the Old Testament a great help. It will sit nicely on the shelf with some of my other reader’s lexicons for the New Testament. Obviously, familiarity will reduce the need for this text, but you have to start somewhere. Book provided by Kregel Academic. Some day, they’re going to realize I’m just plundering them for books.